Moral foundations almost always collapse through slow erosion. But once they collapse, not even mighty men can stand. At the height of his success, King David fell in the midst of battle. But his lost battle wasn’t against the lion, the bear, the giant, or the Philistines. David lost the battle against himself. Before we examine the tragic episode in David’s life that would forever mar his legacy, it’s important that we understand that this is not simply an objective autopsy of one man’s failure. It’s a warning to all of us. 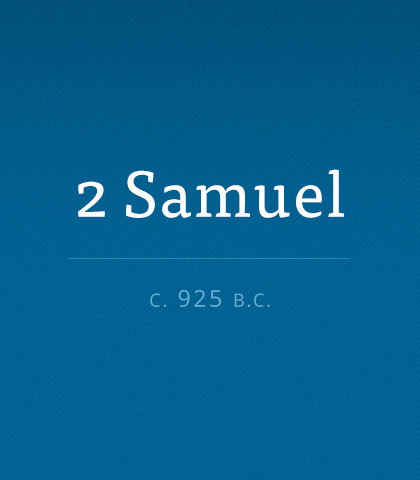 Everything that’s discovered about David—his mistakes and his weaknesses—apply to everyone. If most people are broken, needing God’s help and healing, why do we tend to value feeling good when most of the time we don't? Why do we act like we’re fine even when we’re not?